I understand he's a "Holiday Character," so he isn't super strong, but even Assassin Krampus still hits generally hard. 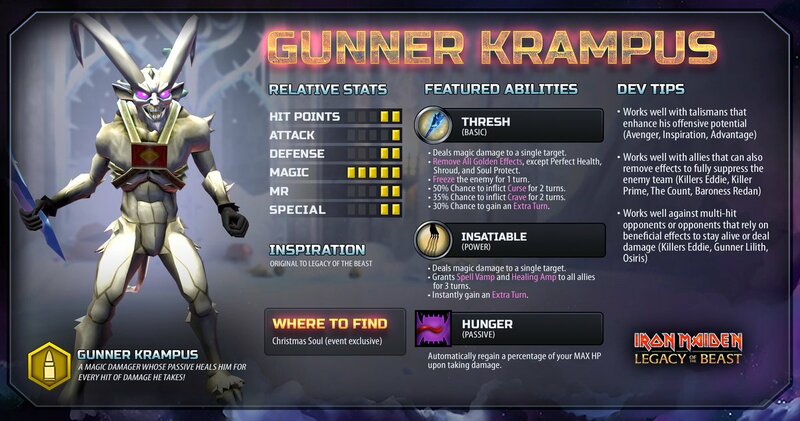 Is Gunner Krampus bugged, or is he literally just a weaker, shittier version of the original? If so, then I feel ripped off. not to mention the curse which cause the target to take 60% mroe damage? also he can remove some golden effects? Last edited by Zantarath; 12-26-2018 at 05:45 PM.